Formed out of the highly durable 6061-T6 melt forged alloy material, these brakes are built to last. 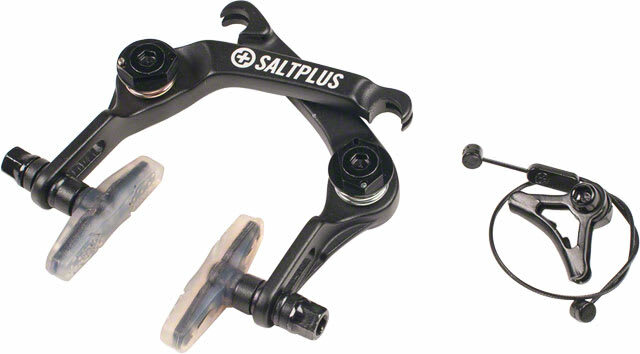 We have included Saltplus "Propeller" clear brake pads and all the required hardware necessary for these to be mounted on your bike. 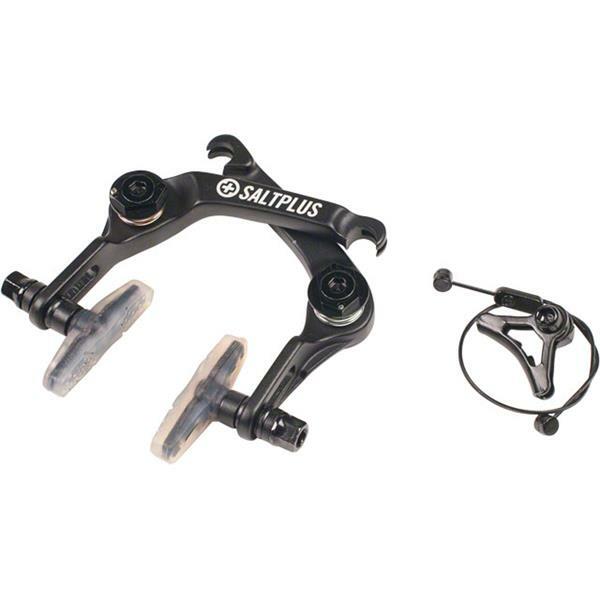 The angled brake arms have been fabricated to fit around your rear tire perfectly, while the short pull and no flex design provide a quick reaction time to put your brake pads on the rim instantly.